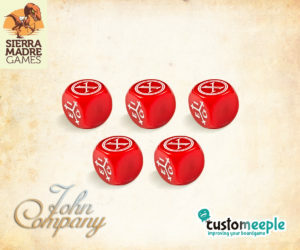 Customized die for John company. 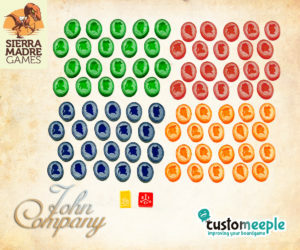 A complete set of deluxe tokens for John company. 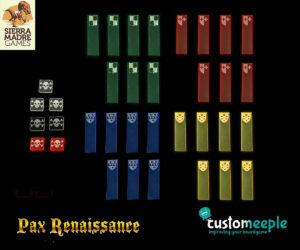 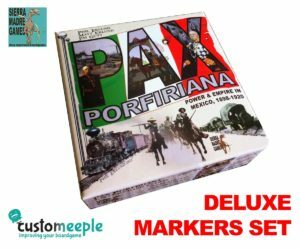 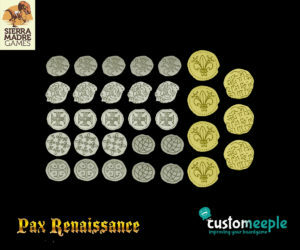 A complete set of deluxe tokens for the game Pax Renaissance. 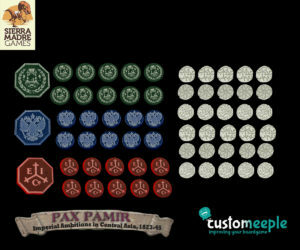 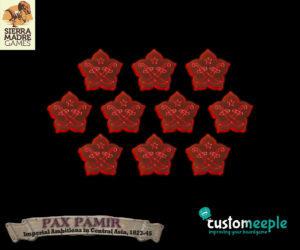 A complete set of deluxe tokens for the game Pax Pamir. 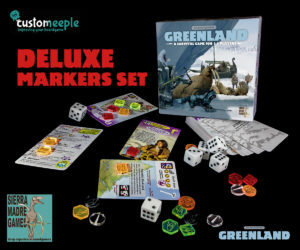 A complete set of deluxe tokens for Greenland.